Make the Most of Your Summerfest Experience by Volunteering! Did you know that proceeds from Virginia-Highland Summerfest go directly into maintaining, beautifying and improving the safety of our community? Whether you live in the neighborhood or just like to visit, you directly benefit from Summerfest all year long. 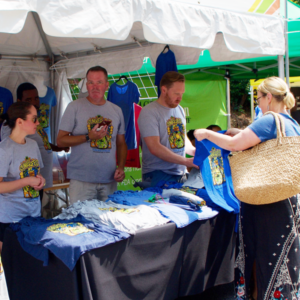 Now in its 36th year, Summerfest continues to be one of Atlanta’s premier art and music festivals, providing a fun source of entertainment and putting the beauty of Virginia-Highland on display. Double the fun by volunteering with friends and family. Volunteers don’t need to be residents of our neighborhood…the more the merrier. And don’t forget, all volunteers receive one of the coveted commemorative Summerfest t-shirts. Don’t wait… Click here to sign up today! Thank you for volunteering and being part of an Atlanta tradition. Please direct any questions about volunteering for this event to volunteer_vahiSummerfest@yahoo.com.